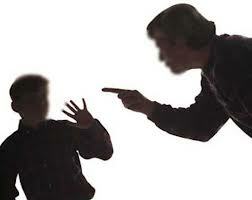 In a case of brutal corporal punishment, a 10-year-old boy died allegedly after being beaten up by his teacher in Bilsahaiganj area in the district. Sajid, a Class V student at Lakhi Public School in Azad Nagar, was allegedly beaten up by his teacher Rahul over some issue yesterday, police said today. Later the teacher took Sajid to his home after which the boy was admitted to a private hospital where he died. On the complaint of Sajid’s father, a case has been lodged. Station House Officer O P Singh said the matter was being investigated. The incident comes a week after a 10-year-old boy died after being allegedly beaten up by his two teachers at a government primary school at Pathakheda in Madhya Pradesh’s Betul district. Aslam Ansari, a Class IV student, was allegedly beaten by his two teachers– Birju Kumar Sonaria and Vijay Ram Bhagat following which he suffered critical back bone and neck injuries.